Performance ensembles play a vital role in the musical life on the Corban campus. Annually, the music department hosts a music retreat (fall), Christmas Showcase (fall), and Hymn Festival (spring), in addition to seasonal concerts. Music majors are required to participate in one or more performing ensembles each semester, but musicians of all types are encouraged to participate in music at Corban. Whether you are planning a career in music or would simply like to grow as a musician by participating in a music ensemble or class, there is a place for you in our program. The concert choir performs university-level choral repertoire, including both contemporary and classical Christian music. This choir is open to all Corban students and no audition is required. 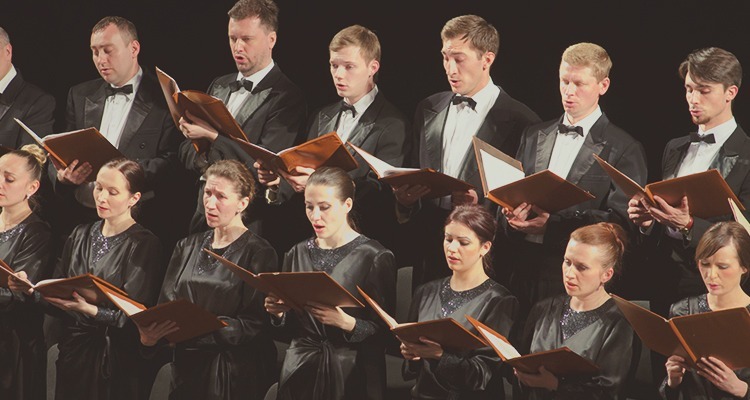 Chamber Choir is devoted to the mastery and performance of historically significant choral literature, including a cappella styling and works of the masters. Potential members may audition in the late spring semester. The Chamber Choir performs many times each semester, participates in choral competitions, and sometimes travels overseas. Corban’s concert band plays standard band repertoire and arrangements of hymns and praise songs, with at least two performances per semester. Open to all students with previous experience on a band instrument. The jazz band plays standard jazz band repertoire as well as Christian music arranged in jazz styles, frequently featuring individual members of the group as soloists. Open to students with previous experience on saxophone, trombone, trumpet, drums, piano, bass or jazz guitar. The orchestra plays standard string and orchestral repertoire as well as arrangements of hymns and praise songs or popular selections. Occasionally it will include wind instruments in its concerts. Open to students with experience on stringed instruments. Group or individual private music lessons are available to all Corban students, regardless of major. Corban has an extensive inventory of pianos located around the campus and available for students to use, as well as a limited inventory of musical instruments available for student use during the school year.